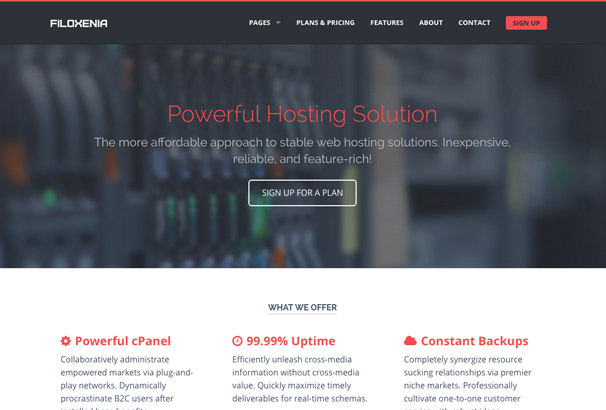 Are you a web hosting company looking to design a new website? Are you thinking about getting into the hosting business? If so, then this collection of website templates will be useful to you. We have put together a list of the best HTML5 website templates which you can download and use as the framework for your new website. What are the benefits of using a pre-designed template? You will save a lot of money on web development fees, by using a template as a starting point you cut out a lot of time spent designing the overall look, you also save money in coding costs turning that design into a functioning HTML template. You also have the plus point of being able to view many different designs and choosing the layout which will be a good fit for your company. Once you have chosen a template as a starting point, you can then begin to customize it fit your requirements exactly. This customization can include: adding your logo, changing the colors, adding your content, adding your photos, icons and other imagery. Once that is done you will have a more unique website at a fraction of the cost of building one from scratch. 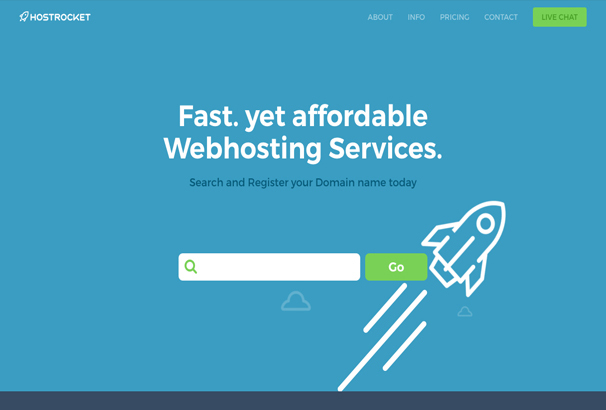 If you would prefer to use WordPress, check out our collection of the best WordPress Web Hosting Themes here and for inspiration take a look at our pick of the top web hosting companies. As well as the front-end of your hosting site, you will also need a customers area or members area, for this take a look at our collection of admin templates. Take a look below at over 30 hand-selected website templates for hosting companies. Hosting Website Template has a clean and responsive design. The theme is attractive with a sleek and professional decor. There is a hero area in the theme’s header which can be used to welcome your visitors to your site. The main menu page is fixed to the top of the page for easier navigation through your websites content. There are ghost buttons as well, that show the services provided by your company. The front page leaves a lot of space for a balanced and uncluttered ambience. 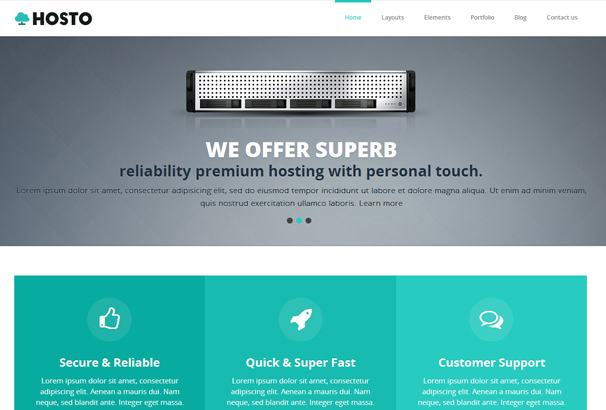 This is a one page or multipage responsive domain and hosting template. The minimalistic design, keeps a very clean and professional look. There are multiple sections that cater to features, testimonials, pricing, sign in and sign up etc. The template is highly customizable to fit all kinds of businesses. It also huge functionality features such as ‘no captcha recaptcha v2 contact form’, server status page, domain search etc. This template has huge functionality along with great design. 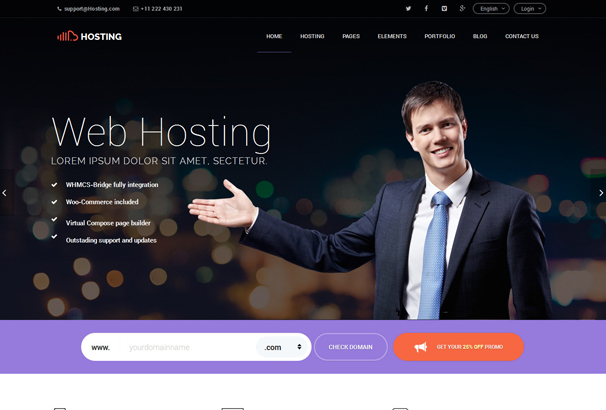 This template has been designed for web hosting business but can also be easily used for a lot of variety of websites with minor modifications. The template uses UIKIT framework for immense flexibility and agility. There are also 4 Home Page layouts with unique pages for each hosting service. The responsive layout along with Parallax background with Retina support make it visually very appealing. 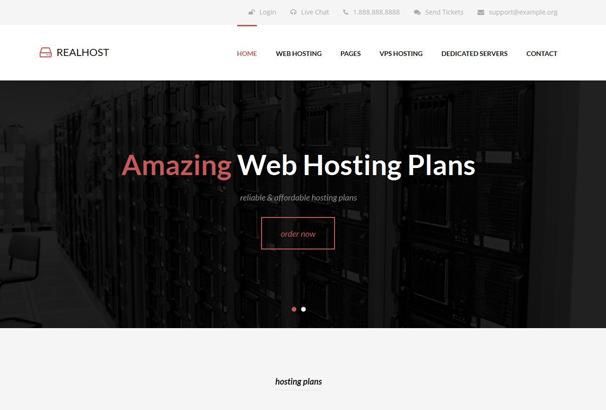 The Rackhost theme is a clean and simple modern hosting and server business template. It comes in 4 different colour sets with custom icons. The slider included is very unique, through which you can display ads and your best offers. The navigation of the site has been kept very simple to go with the overall simplicity, with drop down navigation. The CSS3 animations are easy to customize while performing brilliantly. 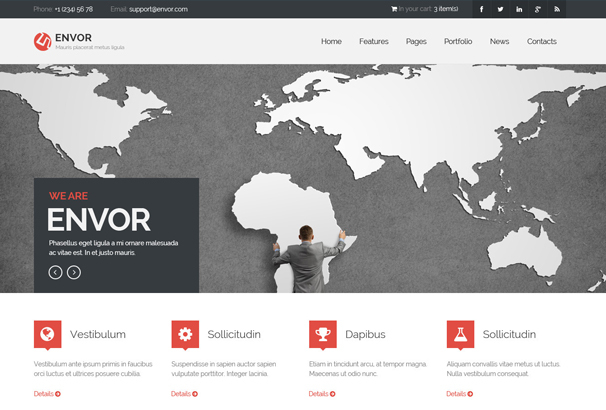 This template comes with 28 demo pages of HTML5. The design is slender with nicely attributed positions for all of your content. It also has 4 Homepage variations for you to choose from. The clean and simple design provides an open atmosphere and completely uncluttered. The template is robust and easy to be modified because of the UI KIT framework. The template is highly responsive with retina ready display. 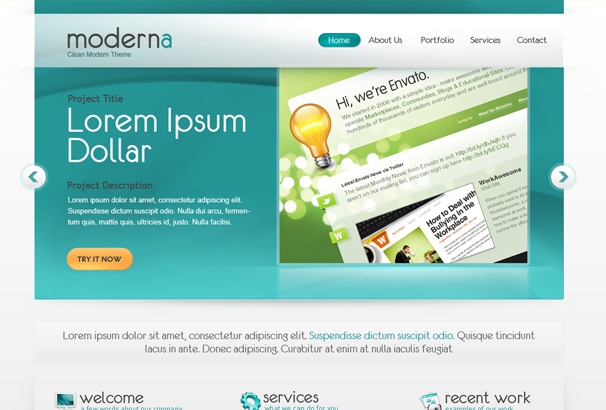 This template is a beautiful, modern and stylish theme for Hosting websites. It comes with 6 attractive HTML pages for your convenience. It has been designed with practicality in mind and as such they include all the elements and features needed for a hosting website. You can also add more pages and elements through the elements.html page that includes everything a HTML developer might need. 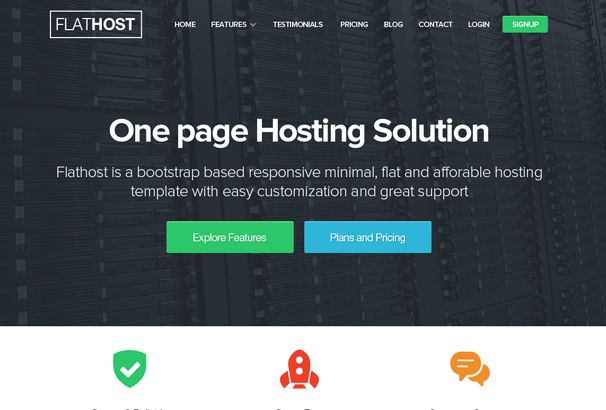 This highly responsive web hosting template is powered by the Bootstrap framework for seamless viewing across all devices. It is packed with 8 layered PSD files and 8 HTML pages for immediate use. It also includes jQuery Nivo slider and Accordion, which accentuates its visual presence. The clean and neat coding makes sure your website is lightning fast and high SEO scores. 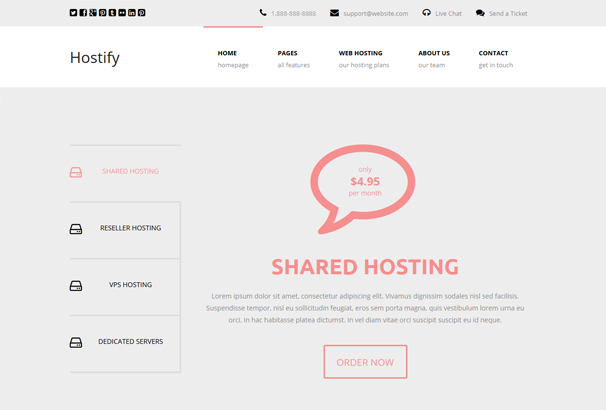 This responsive HTML5 domain and hosting theme is a one page and multipage template. The minimalistic design is eye catching with subdued colours which highlights the content. The template is highly customizable and comes ready with 20 PSD files. There are more than 50 valid HTML files and 5 colour schemes. You will also get 4 variations of the Main Page which are easy to modify. 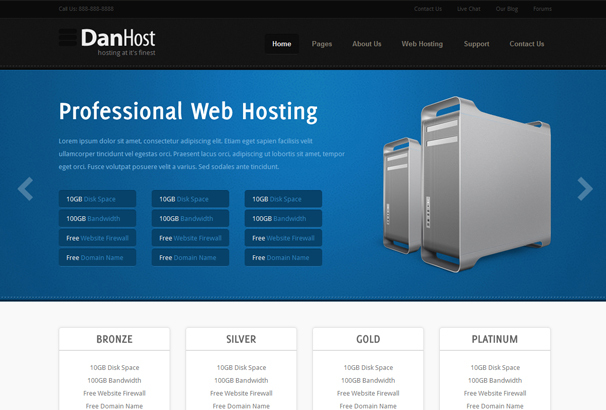 This template has been designed specifically for web hosting sites. It has a modern design which won’t fail to impress you. The theme packs 18 pages of XHTML with amazing features in line with current trends. It is equipped with 10 background skins and 5 colours. The fully working contact form ensures that your visitors can easily contact you. It has everything that you might need in this line of business. This awesome template is very powerful with even better design. 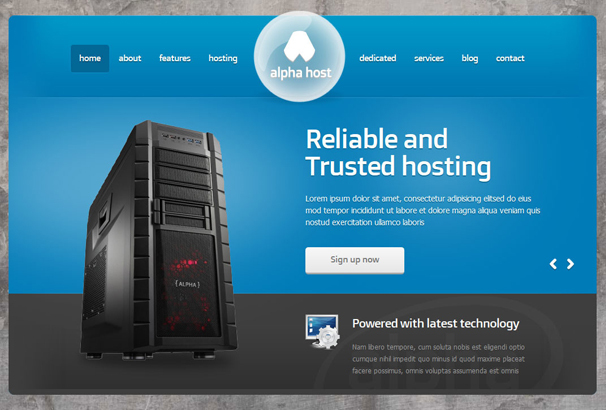 It is dedicated for web hosting companies and contains more than 25 HTML pages built using the 1170 grid system. This feature rich template has a free live chat widget, which is very handy for satisfying the queries of your clients. There is also a layout switcher for easy customization. The coding is clean and ensures 99% page load speed. 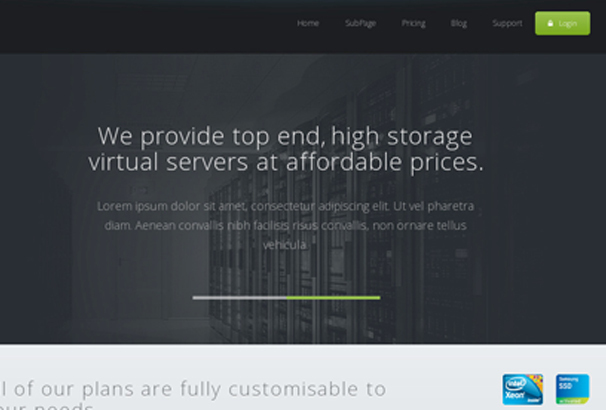 This template is a clean premium web hosting theme which is brilliant in its own way. It contains 10 HTML pages for a fully functional website. There are also 4 different colour schemes to choose from, as also image and content BX slider. The cross browser functionality along with good responsive design ensures that your site can be viewed through all devices without any loss in quality. 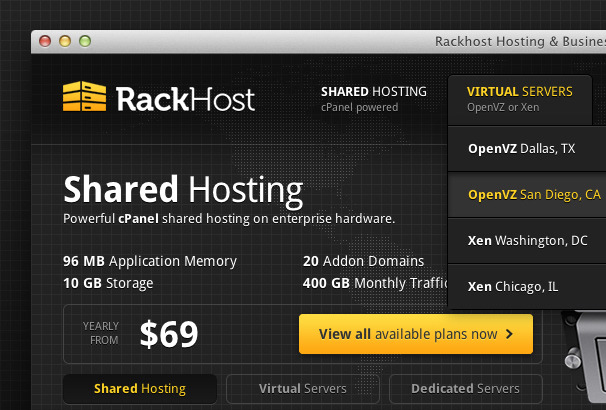 There are also 4 front hosting boxes for easier accessibility. 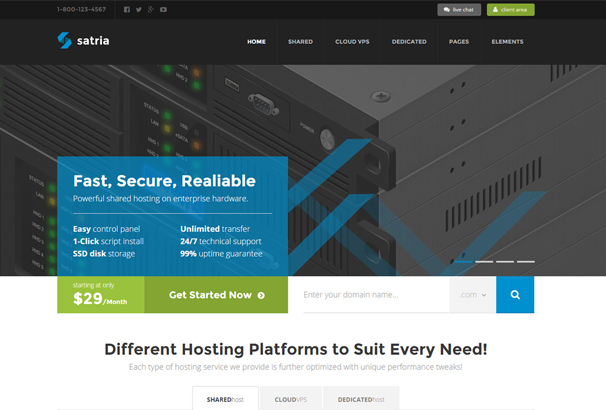 Filoxenia is a highly responsive clean design dedicated for web hosting services. It is based on the Zurb Foundation 5. It comes with a responsive slider for your best offers and highlights. There are also 4 colour schemes and 13 HTML files for immediate use. You can also use the Ajax contact form for improved client relations. 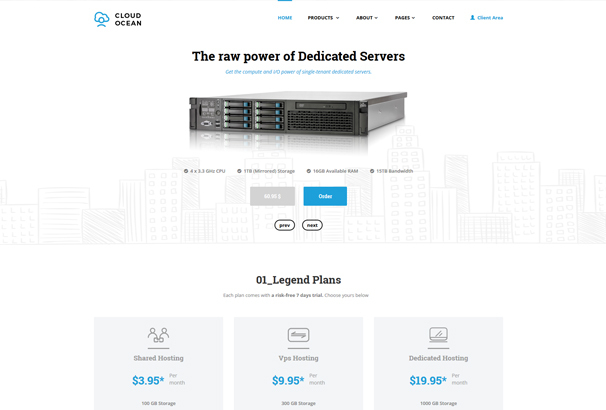 The template is very powerful and perfect for web hosting services. Forserv is highly dynamic template that can be used for a variety of businesses. It is however, best suited for web hosting services. The responsive HTML 5 and CSS technology based on the bootstrap framework ensures that people on any device can easily access your site. There are 60 powerful demo pages which even includes the Arabic language. The clean design along with high customization features make it a very viable option. This is a responsive hosting and business HTML template that can be easily switched from a hosting base to a business theme. It is highly customizable and feature rich. There are also 10 colour skins available and a section for portfolios’ with categories filter. You can also use the hosting features page for maximum utility. The developers have also introduced a blog page for further enhancements to the experience. This highly responsive template has a very clean design with white background. You will get a flex slider and revolution slider for enhancing the visual appeal of your site. It also includes well layered PSD files for servers and sign up forms. 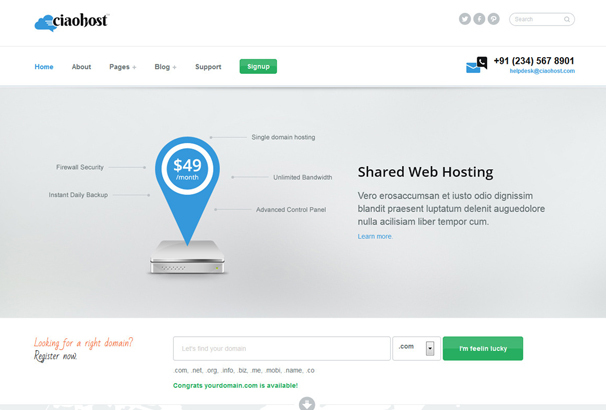 GlassHost is a premium web hosting template with a clean and professional design. It comes packed with 6 pages vis-a-vis Home, Packages, VPS, Text, Blog and Post. The coding is done on 100% valid XHTML and CSS for beautiful animations. 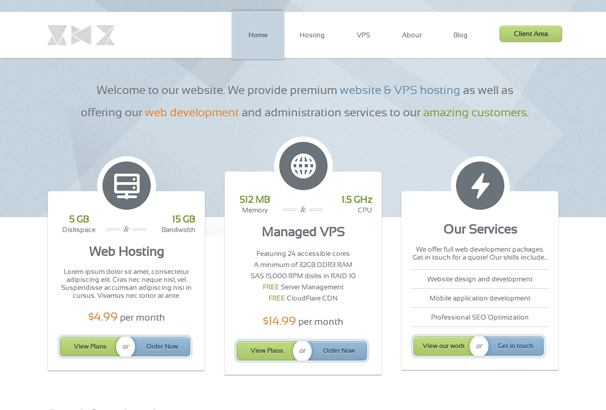 There is also the VPS slider and testimonial area. This is a powerful template with a clean and minimalistic style. The flexibility is huge with immense customization features for both professional as well as personal use. Animation is handled by jQuery and CSS3 ensuring smoothness and versatility. The responsive layout scales from 330 px to 1170px width. 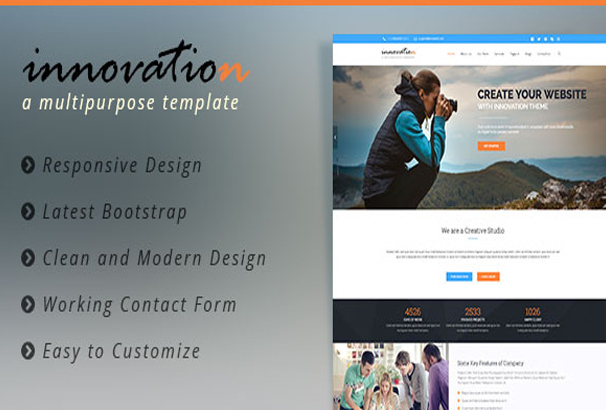 This template is beautifully designed and is fully responsive for any device. It has 22 HTML pages for you to add your content immediately. The BX slider included with the theme is beautiful. The quartz responsive menu is high on potential and works beautifully with the rest of the theme. 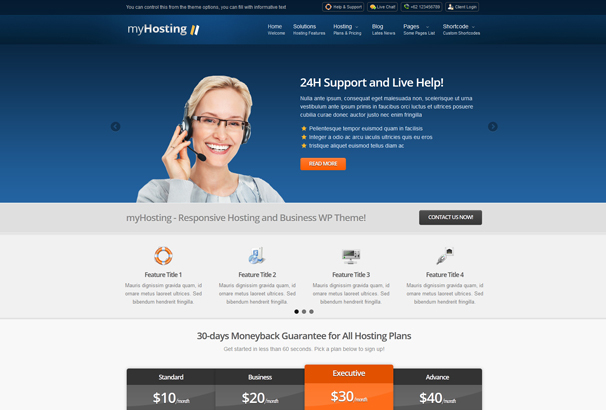 This is a feature rich minimalistic theme for web hosting services. It has 6 colour styles and 22 HTML5 pages for your immediate use. The minimalism helps in focussing on the content and keeps things simple for the user. There are 4 Image/Content sliders which brings a lot of versatility to the site. The developers also provide great support, making it very worthy. 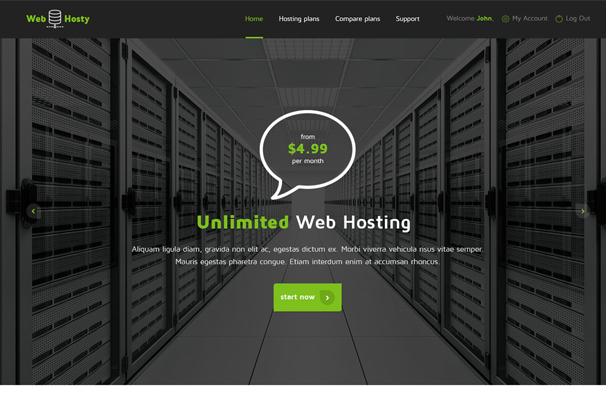 This is another clean and minimal HTML template for web hosting services. The modern features and organized look brings a professional and efficient persona to your web service, which is sure to enhance your credibility to your clients. The customizable and industry standard features is the icing on the cake. Envor is a modern HTML template for corporate and portfolio sites. However, it is designed to accommodate most businesses with its elaborate customization features. There are a huge 50 HTML page templates and 100 ready to use pages that brilliantly accommodate most professions. It also has the Lightbox photo gallery and Mega Menu for beautiful illustrations. 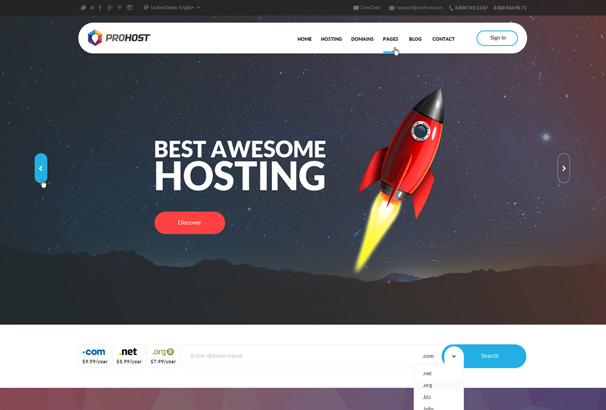 Hostrocket is a HTML5 web hosting landing page designed to market your web hosting project in a simple and elegant way. The foundation of any theme is the code and it has been brilliantly done in this theme. You can easily edit the animations as well as the features and design of your site. The responsiveness, speed, features and design make it outstanding. 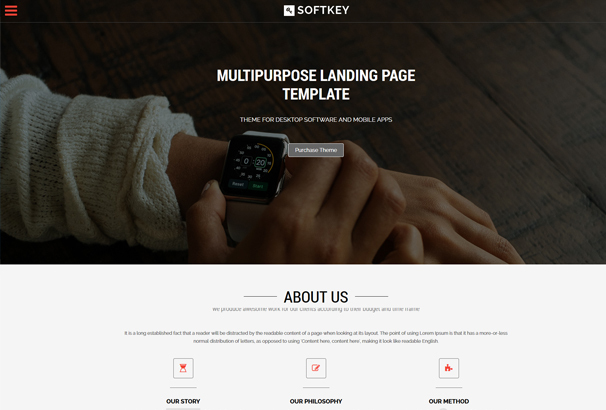 This template is a multipurpose landing page theme perfect for start-ups and local businesses in any field. 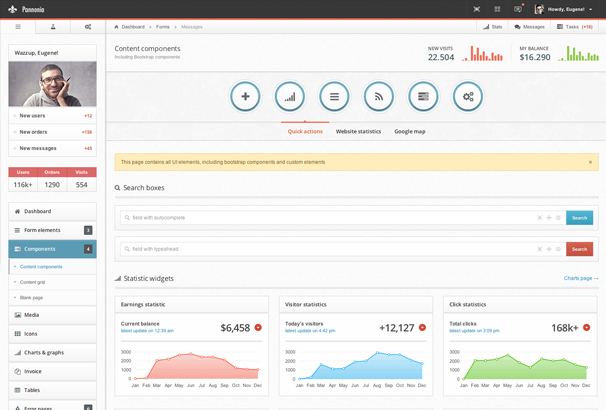 The clean, responsive design displays all features in one page in a beautiful way. The high contrast design makes it easier to read and focuses on the content. The pixel perfect design and valid HTML and CSS coding ensure there are no hiccups at all. This is a new theme based on bootstrap for enhanced responsiveness. It has a flexible content structure which adds to the versatility of the template. The two column liquid structure with 3 levels of navigation and feature rich sidebar elements make it a joy for the end user. It comes ready with 26 valid HTML templates and cross browser support, putting it among the best out there. This multipurpose HTML template has three different home layouts for corporate, hosting and hotels. The modern design with amazing feature rich layouts is high on demand. It has more than 30 HTML5 pages for quick use. Visually it has been crafted for exceptional appeal with retina ready graphics and responsiveness. The developers are known to provide great support as well. 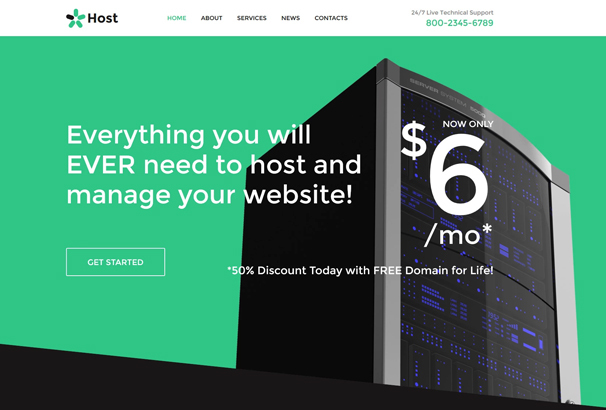 Hosto is an awesome Hosting theme perfect for your business. The HTML 5 and CSS3 coding ensure maximum performance and amazing features. There are custom short codes that you can use to make it even more appealing. The multi-level drop down menu provides great style along with great navigation. The template is easy to customize and beautiful to use. Innovation is a clean, modern and professionally crafted template dedicated for web hosting services. It is highly responsive with enhanced visuals with Retina support. The clean and efficient coding ensures that you don’t run into trouble, along with making the site SEO friendly with great speeds.